LONDON, UK – 23 January 2019– Five of the world’s top ten B&Bs can be found in the UK, the results of the 2019 Travellers’ Choice® awards for Hotels have revealed. 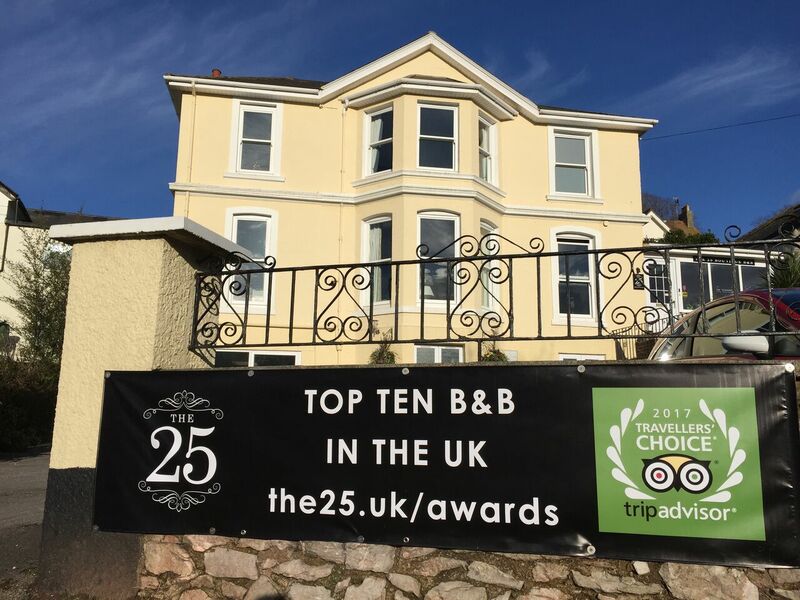 The 25 Boutique B&B in Torquay takes the title of world’s best B&B. Bindon Bottom B&B in West Lulworth, Dorset comes in third place, while The Grange Bed and Breakfast in Fylingthorpe, North Yorkshire and Swallows Rest Bed & Breakfast in Brigstock, Northamptonshire celebrate fourth and fifth place respectively. Hillstone Lodge in Colbost on the Isle of Skye comes in seventh. Now in their 17th year, the highly-anticipated Travellers’ Choice® awards for hotels honour the world’s most outstanding properties in the categories of Top Hotels Overall, Luxury, Bargain, Small, Best Service, B&Bs and Inns, Romance, Family and All-Inclusive. The 2019 Travellers’ Choice® award winners were determined based on the millions of reviews and opinions collected in a single year from TripAdvisor travellers worldwide. Other UK properties celebrating world recognition, include The Elm Tree Hotel in Llandudno, rated third best Bargain hotel in the world. Hotel 41 in London claims fifth in the world’s Luxury hotel category and 15th in Top hotels overall, while Egerton House Hotel, also in London, is 19th in the world for Luxury. Devon’s Tavistock House Hotel is seventh in the world for Small hotels. “Many hospitality awards select winners with a panel of judges but the Travellers’ Choice Awards are different, they are based on feedback from actual guests over the past year, which is what makes them so well-regarded within the industry,” commented Hayley Coleman, TripAdvisor spokesperson, “The B&B has long held its status as a British institution so it’s great to see the UK recognised worldwide for doing the B&B best!” Hayley continued. Elsewhere, Tulemar Bungalows & Villas in Costa Rica – where rooms are available on TripAdvisor for an average of £189* per night – takes the title of world’s Top hotel for 2019. The resort is situated on 33 acres of lush Costa Rican rainforest, overlooking the Manuel Antonio coastline. Guests staying in the resort’s treehouse style accommodation are surrounded by nature, counting monkeys and sloths among their neighbours and have a personal concierge on hand to arrange tours, spa treatments, restaurant reservations, and personal chefs. There are four swimming pools and four restaurants to choose from and guests can take advantage of the only exclusive sandy beach in the region. For those looking to splash out, for the third year running, the title of UK’s Top Hotel goes to Hotel 41. Located opposite Buckingham Palace, the hotel which boasts Savoir beds and a personal butler service for you and your pet, as well as staff who outnumber guests two to one, also celebrates placing sixth in Europe and 15th in the world. It’s also named the UK’s best-rated hotel in the Luxury category. Travellers can book a stay on TripAdvisor for an average of £557 per night. For the second year running, Devon’s Tavistock House Hotel flies the flag for hotels with less than 30 rooms, as it scoops the award for best Small hotel in the UK. The Elm Tree Hotel in Llandudno is named both the UK’s most Romantic and best for a Bargain. While for Families, it’s the Premier InnLondon City (Aldgate) Hotel which takes the top spot. Travellers’ looking for the Best Service should head to the Lawton & Lauriston Court Hotel in Llandudno. And of course the UK’s best B&B (and the world’s! ), The 25 Boutique B&B, is located in Torquay. For the complete list of 2019 TripAdvisor Travellers’ Choice® awards for hotels winners, go to www.tripadvisor.co.uk/TravellersChoice.